Excerpts from “The Sailor’s Parting,” by C. Mosley, 1743. The image includes depictions of a hammock, sea chest (with initials), and simple bag. From 2012 to 2013, I participated in the recognition of the tercentenary of an historical event. Before 2012, I knew little of the Tuscaroras, the Tuscarora conflict from 1711-1715, and the siege and battle of Neyuheruke. The history of this event receives limited attention. There are select groups who will know of this conflict, such as some North Carolina students, academics who study pre-American Revolutionary War colonial history or the history of the American Indian, and the Tuscaroras themselves that still live on today. 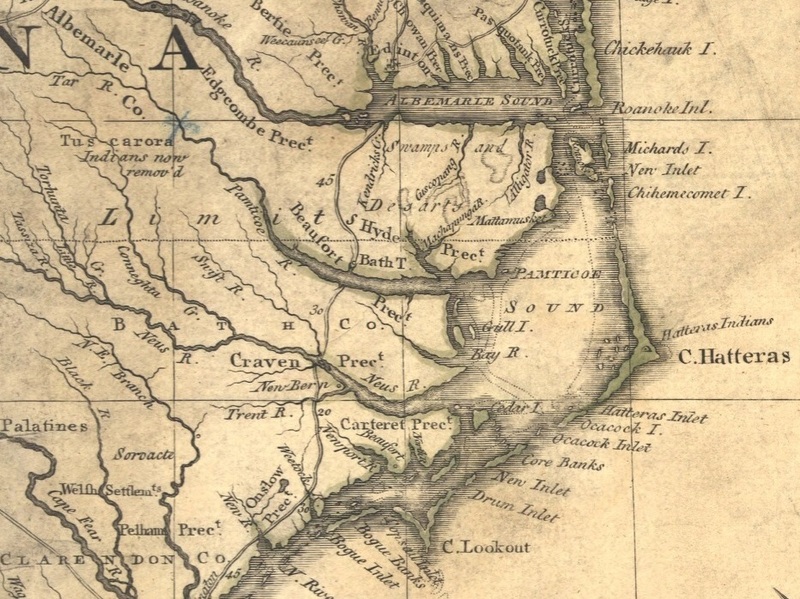 Thanks to a pair of conferences held at East Carolina University, in particular the one held in 2013, I am more aware of an event that deserves more attention in early American history. One of the frequent questions asked online in general public discussions of pirate history is “What books do you recommend on pirate history?” Below is a list of books on the subject with brief descriptions of their content and qualities. Each of the titles reviewed here features a link to Amazon.com for convenience. Follow "Colonies, Ships, and Pirates"